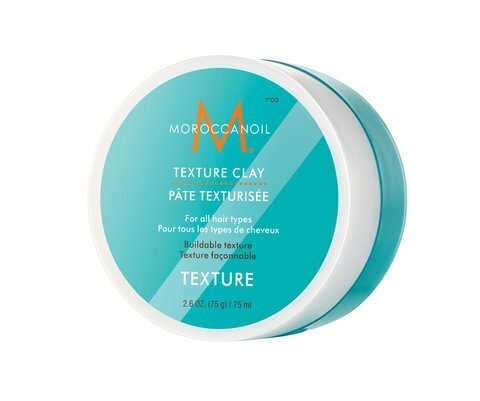 Moroccanoil Texture Clay is a supple paste that defines the hair and forms a natural look with a matt surface and strong hold. With a mixture of argan oil, shea butter and mineral earth, this paste provides ultra-structured looks. The Moroccanoil Texture Clay allows a creative styling with a lot of texture and maximum flexibility. It tightens curling hair and leaves no residue. Rub a small amount between the palms of the hands, warm them well and evenly into the dry or damp hair. Argan oil: rich in essential fatty acids and antioxidants, for more elasticity and suppleness. Mineral finish: Provides a silky, matte finish. Shea butter: soothing and moisturizing, provides sewing materials for the scalp and hair.